Sony F55 4K Camera Hire from just £200/Day. Sony PMW F55 is available to hire from just £200/Day. 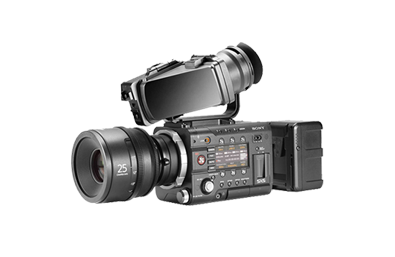 The F55 is the bigger brother to the F5 with the main difference being the shutter, dynamic range and 4K capabilities. The PMW-F55 CineAlta camera shoots spectacular images with its 8.9 megapixels (effective) Sony 4K image sensor, incorporating a revolutionary electronic global shutter to eliminate rolling shutter distortions. You get superb dynamic range, the widest colour gamut, and pristine image quality, whether you shoot in HD, 2K or 4K.